Wetton began his professional career at Tottenham Hotspur in 1950, having joined them from non-league Cheshunt. He spent five years at White Hart Lane, but was generally considered an understudy to great players such as Ron Burgess and Bill Nicholson. 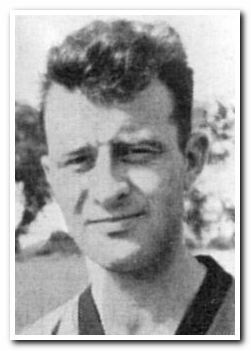 Moving to Argyle in June 1955 he was dismissed on his home debut and, despite featuring regularly throughout the rest of the campaign, found himself out of favour following relegation to Divison Three (South). He moved on to Aldershot for an 18-month stay and then became player-manager of Harlow Town. He returned to Cheshunt in 1960 in the same role, where he ended his career.